Your best friend is getting married and you want to give him the best outdoor bachelor party Maine has ever seen. After all, he’s been there for you whenever you needed him, so now it’s your turn to return the favor. To say his outdoor bachelor party needs to be epic would be an understatement. It’s a tall order, but Crab Apple will fill it with room to spare. 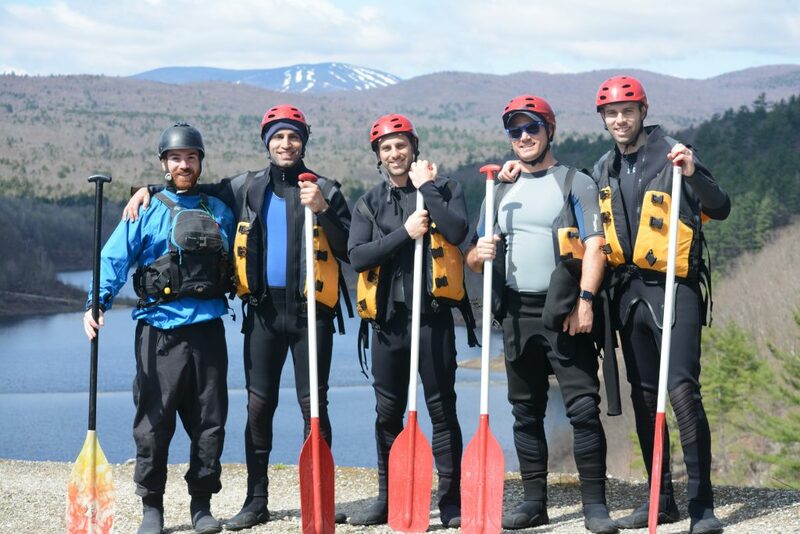 To kick off the ultimate outdoor bachelor party, you and the groom’s closest friends will go whitewater rafting down the Kennebec River in The Forks, Maine. You will start with some socializing at our gorgeous riverside base camp, and then you will head out on the most loved river trip in Maine. 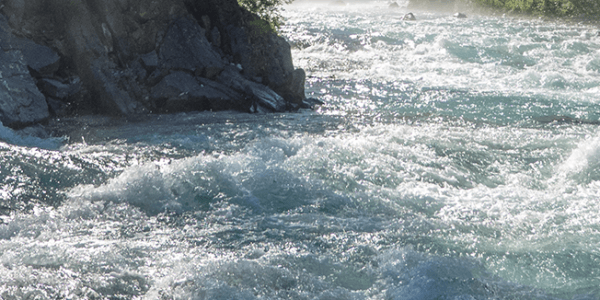 This world-class whitewater rafting trip will take your group through 12 miles of class III and IV (sometimes V) rapids, and will give your buddy and friends the thrill of a lifetime. From the huge waves to the heart-pounding drops to the stunning waterfalls, every turn of the trip brings a new adventure. Once the legendary whitewater rafting trip is complete, your outdoor bachelor party is far from over. You will complete the excursion right where you began, so you and your mates can get to a warm shower quickly. While you get cleaned up, our guides will prepare the cookout to rival all cookouts, complete with steak, chicken, fish, and a vegetarian option. After that, we will view all of the amazing photos from your outdoor bachelor party back in our conference room—but the fun is still far from over. At about 4:00 PM, after whitewater rafting and the cookout, it’s time to get your paintball on. Your buddies will get decked out in camouflage and head to our paintball playing fields for some unforgettable paintball battles until the sun goes down. Choose from any of our four fields—Bunker Hill (scenario), Mayday (woods), Maine Street (urban village scenario), or Patriot (speedball)—and have the time of your lives. You know that the good times can’t stop when the sun goes down, which is why your group will head back to our restaurant and pub to get some grub and some drinks. All of the groom’s favorites are sure to be there, including prime rib, fish and chips, baby back ribs, burgers, nachos and wings, and our full bar will provide the perfect ending to an extraordinary outdoor bachelor party. Are you ready to give your best friend the most amazing outdoor bachelor party ever? Contact us today before the dates you want are booked!